I have received some flack for my recent post on Assessing Austin's Community Character, where I presented what I love about my neighborhood: access to yards for children; our neighborhood school and park; affordable, family-friendly restaurants; access to parks and athletic facilities; the eclectic, artistic, and diverse character; nature; and -- gasp -- cul-de-sacs! One commenter wrote that I was "clinging to some ideal of bungalows with huge yards," while another wrote that I was asking for "suburban amenities." What some pro-densification readers have probably taken the most offense at was my reference to yards and cul-de-sacs. But, actually, these concepts of safe, kid-friendly, outdoor play spaces are not antithetical to living in a dense urban area. One of my main purposes in creating this blog has been to call out examples from around the world where cities are successfully providing opportunities for families to live in denser housing with the amenities that these commenters have characterized as "suburban." For example, let's take yards. I have written several blog posts about housing designs from around the world, such as row houses and courtyard housing, that provide denser urban housing AND access to yards for children. 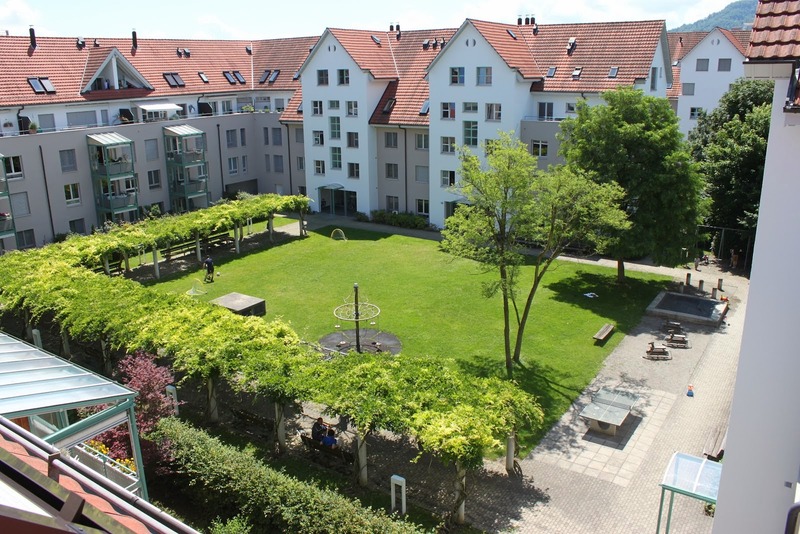 For example, here is a picture from a post I wrote in 2012 about courtyard housing in Zurich. My sister-in-law used to live in this particular housing development, which provided a huge shared yard where kids (and adults) could safely play. In Los Angeles, these complexes are called garden courts. Vancouver, which has one of the densest downtowns in North America, requires that 25% of units be designed and sold/rented to families with children. 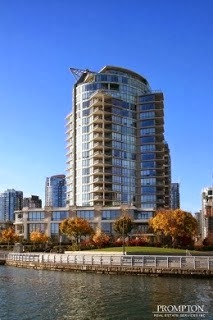 As a result, throughout downtown Vancouver you can find housing towers surrounded by wrap-around, three-story townhouse units with access to secure playground yards for children. (Through my service on the Downtown Commission, I recently advocated for Austin to adopt a first-step, scaled-down version of this policy for downtown by giving density bonuses to developers who include small outdoor play areas for children. The Commission unanimously voted for the policy, which the Austin City Council approved on first reading last week. City staff is currently opposed to the proposal). In the same vein as Vancouver, Portland, Oregon's highly-dense Pearl District has a goal for 25% of the housing units to be family-friendly. In 2011, I visited one apartment complex there that has followed the courtyard concept, as well as other housing complexes that are directly adjacent to kid-friendly parks. As for safe streets where kids can throw a ball or ride their bikes, while admittedly cul-de-sacs are not ideal for a denser urban core, there are many models of streets in dense cities that facilitate kids' ability to play. The woonerfs in Denmark and Sweden are probably the most well-known model. In London, these are known as home zones and are being retrofitted throughout the city. In the U.S., these have been referred to as "shared streets" or "living streets." 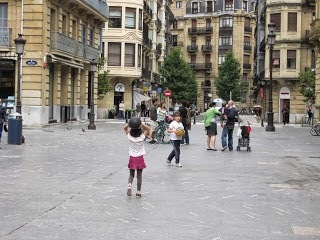 Here is a picture of a wonderful shared street my family visited in San Sebastian, Spain in 2012. What worries me about the negative responses I have received to my previous post is that they may represent a more widely-shared expectation in our city: that we can only have a denser urban core if we sacrifice the things that many of us love most about our communities--such as yards, trees, and safe streets. My hope for CodeNext is that our city policymakers recognize that these family-friendly amenities are not only complementary but actually critical to creating a city that is robust, healthy, and sustainable for all types of households.